What fun this has been. 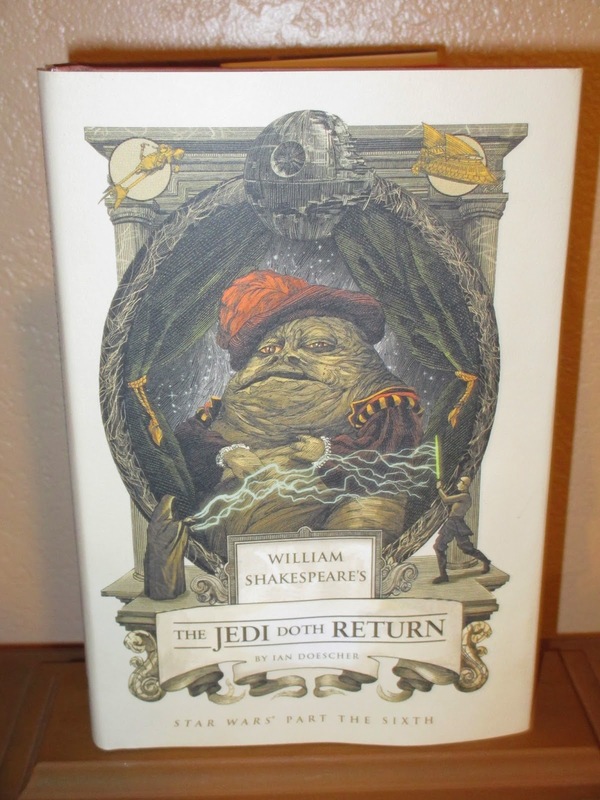 Ian Doescher's William Shakespeare's Star Wars trilogy has, I think, enchanted us all. I enjoyed the first book as new and so very right, and I thought the second was even better. And now we come to The Jedi Doth Return. From an early age, I had a soft spot for The Return of the Jedi, so I was thrilled to learn that Ian Doescher is the same--I, however, did not learn this until after I had finished his wonderment of a book and come to the Afterword. Everything I loved about the first two books was in this one. The flawless combination of Star Wars plots with Shakespearean flavor, the familiar dialogue blended with the bard's style, the direct references to quotes in the plays, all of that. But it all felt amplified this time. The Return of the Jedi is wonderfully dramatic, and the text in The Jedi Doth Return elevates every stick of drama into a cascade of powerful emotions and characterization. I particularly enjoyed the Hamlet references, since (although I claim not to care much for Sheakespeare) I also have a soft spot for that play. The Jedi sing thee line is gorgeous. Be thou assured, however, that there is lightness, as well. The line where Luke comments about Leia's slave outfit in Jabba's Palace, that one made me laugh out loud as I read--and I don't often do that. There's fun even among all the tragedy. So, yes, my last words are, I loved William Shakespeare's The Jedi Doth Return.